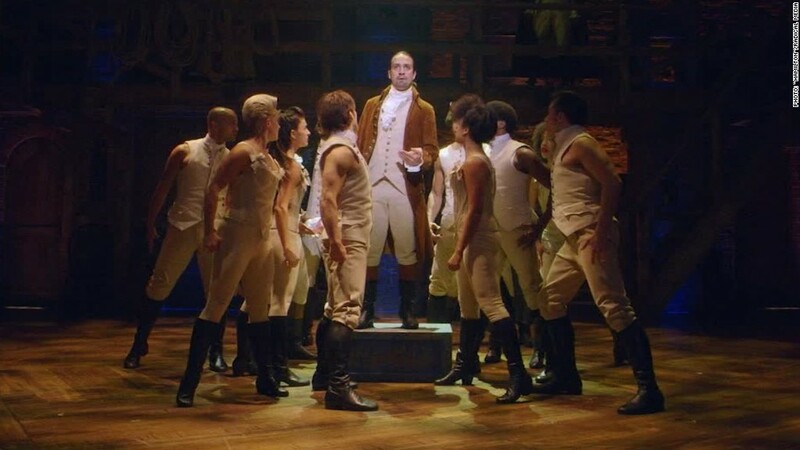 Broadway hit "Hamilton" is turning into an ATM machine for investors. That's rare. Only about 25% of Broadway shows are profitable. But the ones that are -- like "Hamilton" -- typically make A LOT of money. That's why investors keep going back. Before there was "Hamilton," there was "Fun Home." "Fun Home" was the darling of the 2015 Tony Awards. It took home five prizes, including Best Musical. The moment was historic because "Fun Home" was Broadway's first musical with a lesbian protagonist. Mark Severs and Jesse Horwitz, both investors in the show, remember the night well. When "Fun Home" won the top Tony Award, the couple did shots with other investors -- and saw dollar signs. "We thought about ["Fun Home"] as an investment. It was attractive in that it was different than a traditional stock, mutual fund or ETF," says Severs. The show skyrocketed in popularity after the Tony win. Severs and Horwitz have only seen it twice because it became so hard to get tickets and they didn't want to compete with paying ticket buyers. 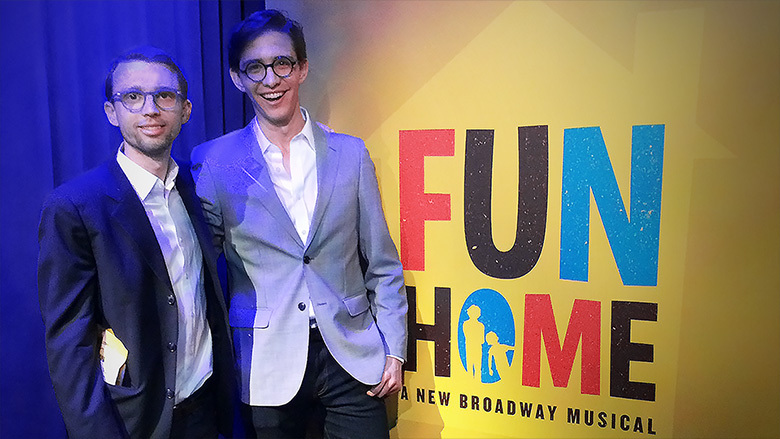 Investors Mark Severs and Jesse Horwitz at the premiere of the Broadway musical "Fun Home." Investing in Broadway isn't cheap. Shows cost millions to put on. Typically, producers and directors don't want to deal with a ton of people, so they look for a handful of investors who can put down a lot of cash. Severs and Horwitz invested $25,000 in "Fun Home," the lowest option available to them. Broadway works a lot like a private equity investment or a rental home. You give the show money up front. Then you get checks every few weeks from the ticket sales. The longer the show goes, the more money you make. "The old adage about Broadway is in many ways true, 'You can't make a living, but you can make a killing,'" says Broadway producer Kimberly Loren Eaton, who helped raise money for "Fun Home." Knowing if a show is going to make money, let alone be a smash hit, is a herculean task. There's a reason Irving Berlin wrote the famous song lyric, "There's no business like show business." But "Hamilton" and "Fun Home" both gave an usually big hint that they would be great. They had sold-out runs at The Public, a smaller off-Broadway theater in New York, before going on Broadway. So investors got to see the shows -- and the ticket sales -- before investing. "We had an unusually large amount of information for a show," says Horwitz, who works in finance. He loves theater, but he and husband Severs approached the Broadway show like any other investment. They looked at all the numbers and reviews so far. They also analyzed the past returns of the director and producers of "Fun Home." Severs and Horwitz are already profiting on the show. The checks continue to come, and the show has only been open for just over a year. They also enjoy the perks, such as opening night tickets and invites to exclusive events, including Tony Award parties. But the money really pours in for Broadway investors when the show goes on tour. "Hamilton" is set for a national tour around the U.S. in 2017 and 2018 as well as an international tour in Europe and Australia. "Fun Home" begins its U.S. tour later this year. Investors get a cut whenever the show is performed, even at a high school. For "Hamilton" investors, there are many reasons to belt out one of the musical's famous lines: "Look around, look around at how lucky we are to be alive right now."